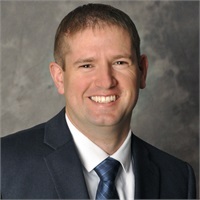 Following eight years of active duty with the US Army, Rick earned an Accounting degree from Ferris State University in 2015 and ultimately completed the requirements to become a Certified Public Accountant (CPA). He then spent two years as a public auditor specializing in financial institutions before joining the True Blue Financial team. Rick is a member of The Michigan Association of CPAs. Rick understands the importance of communication and team building and prides himself on his attention to detail, organizational skills and commitment to excellence. Central to all account operations and client services, Rick provides our clients with valuable coordination and reliability while providing important office support. Rick’s off-time is spent with his wife of 10 years, Rebekah and their young son Lucas. Together they enjoy golfing, fishing and taking walks with their dog, Irish.